Our office new is located across from St. Anthony’s Hospital at the corner of Tesson Ferry and Schuessler Rd. in the Lamplighter Sq. Shopping Center. St. Louis Eye and Surgery Centers Bldg. This office is located just WEST of the intersection of Manchester road and Highway 270. Take exit 9 to Manchester (100) West and get into the far left lane. Take the Manchester (100) East exit for ½ mile merging to the far right lane. 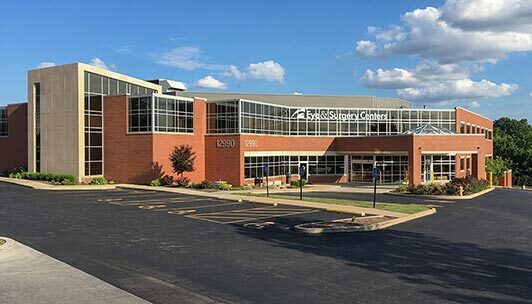 The Eye Surgery and Laser Center Building is located right past Fox Jewelers across from The Bick Group building. Take exit 9 to Manchester (100) west. Continue for 1 mile merging to the left lane to the Manchester (100) East exit. Take the Manchester (100) East exit for ½ mile merging to the far right lane. The Eye Surgery and Laser Center Bldg. is located immediately past Fox Jewelers across from The Bick Group Bldg. Continue along Manchester Road East merging to the far right lane for 1 mile. The Eye Surgery and Laser Center Building is located right past Fox Jewelers across from The Bick Group building. Continue along Manchester Road West staying in the center lane for West 100. Continue driving while merging to the far left lane. Take the Manchester (100) East exit for ½ mile merging to the far right lane. 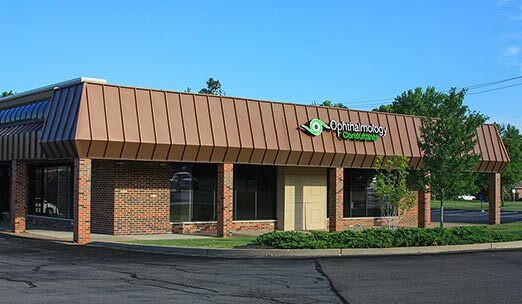 The Eye Surgery and Laser Center Building is located right past Fox Jewelers across from The Bick Group building. Turn right at the Des Peres Road exit. Follow the ramp to Des Peres Road and turn left. Follow the signs for West (100) Manchester Rd. Turn left at the traffic light for West 100 and continue to the Manchester East exit approximately .8 miles.